Creating a TO is like a defensive stop and converting it into points could be in many ways other than just a lay up. I understand that, but you’ve seen our half court offense, right? Seems to me generating relatively easy points in transition off of turnovers would pay bigger dividends than relying on our 40% shooting in a half court set. It also seems like an easier problem to fix/improve upon than poor shooters/shooting. I was just pointing out what he may have meant. Our lay ups on the run is no sure thing either. Working the ball inside has been our best option for now. I like this. It might not be quite what I was pushing for in the other thread, but I think throwing some different looks at Fordham is going to rattle them. We've guarded the perimeter extremely well this season, holding opponents to a worse percentage than we've shot, which is hard to even comprehend. Anyway, I was talking about throwing more pressure at them and trying to bully their smaller guards into turnovers, but I do suppose that could leave us vulnerable to some open looks and we can't let them get hot. I think Ford was saying (if I'm reading the summary correctly) that Fordham plays 4 different types of defense. He was not saying that SLU is going to show Fordham 4 different looks on D.
I'd imagine they'll figure out quickly that a zone is going to be most effective and use that a lot against us. As RU said, I interpret Coach's statement as meaning that Fordham will change up defenses on the Bills for up to four different styles, not that he has prepared four different styles to throw at Fordham. I guess I read that wrong. Bummer. I'm confused by this. We're not good at fast breaks and finishing so we're not going to work/focus on it, but yet we're going to focus on turnovers and converting? Am i missing something? I do find this somewhat perplexing . We might be the worst fast breaking team I have ever seen. Are we so hopeless that we couldn't improve thru practice? Lasalles gym is a high school gym, Rose Hill was really cool when I went two years ago. Loved that place. I have a group that has gone to a road Billiken game for the past 8 seasons. Rose Hill was my favorite venue, even over Hinkle Field House. Because we qualified for "group sales," our tickets cost $5.00 and we were in the first row. The Fordham fans were great to hang out with, likely because they were just there to have fun and didn't expect much from their team. Before the game, some college kids and some old ladies set up the concessions. By this, I mean they put up a few folding tables on which they placed a hot dog roller, a nacho cheese machine, boxes of candy, etc. Drinks were in coolers behind the tables. It was awesome. Like watching some moms set up for a CYC game. Throughout the game, the Fordham fans kept coming up to us an asking us about our trip and commenting on how cool it was that we were traveling to watch our team. After the game, some Fordham fans approached our group outside. They mentioned that there was an old bar located under the gym and invited us to join them for their after game ritual. I really regret not canceling our dinner reservations that we were heading to and hanging out with those guys underneath Rose Hill in some dusty and probably amazing bar. If anyone gets the chance, I highly recommend a road trip to watch the Bills play at Fordham. If anyone has 15 minutes, here is the link. I listened. He encouraged a big crowd tonight. Talked a lot about how players have been stepping up and hitting big shots. Mentioned how the A10 is very competitive, and said Davidson, VCU, SLU, and St. Josephs could win it. Additionally, he said KC Hankton will be a game time decision tonight. I know he's showing respect to tonight's opponent but they're basically already out of it. Dayton and George Mason would be the others in the hunt. Listened to Ford on the Midday Grind Yesterday. The day Gordon left, it wasn't discussed in practice, no one asked any questions. It was another day at the gym. They haven't changed their game strategy with the departure. Wiley is out of shape, no legs. He has to get his legs back to get his shot. Coach said French is very humble and some days too nice. He is equal right or left hand. Thank you for the summary, good post. First summer coming up that June is a recruiting month due to the new NCAA rules. Coach would like some mandatory time off for staffs (he doesn't like this new June recruiting rule). Going forward he wants to concentrate more on high school players. 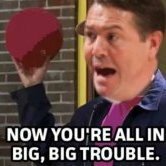 He had to get transfers and GT's to fill in immediate needs in these first three years. On non-conference schedule, 'we did okay'. Said SIUC was the worst games they have played this year. Said that some of the OOC opponents haven't played as well as they anticipated. Doesn't like the ratings systems as the systems aren't consistent. He doesn't like the NET system in particular and doesn't understand it. Two road wins saw the team drop from lower 60's to upper 60's. The offensive and defensive efficiency rates are influenced by whom you play. But he likes the 14-4 record, and would have taken it in a heartbeat if offered during pre-season. Coach said they are looking at a 3 game tourney next year, with maybe one at home. Coach really likes Jordan's play at PG. Likes the pace he brings. Asked about the change from Isabell, Coach said a lot of thought was put into it preseason. Goodwin had his triple double as shooting guard last year. Coach thought it would remove some pressure on Goodwin if he didn't have to run the team. Then at Christmas he changed, felt Tremaine had too much pressure on the ball. It was a lot to ask Tremaine. Both guys have accepted their new roles. Since the change, the ball moves better. Assists are up for both. Not sure how long Jacobs will be out. (Might play Wednesday....Coach isn't sure of his status.) Jacobs is the backup point when he returns but will use Isabell as needed. Terrance Hargrove is at every game he can get to. 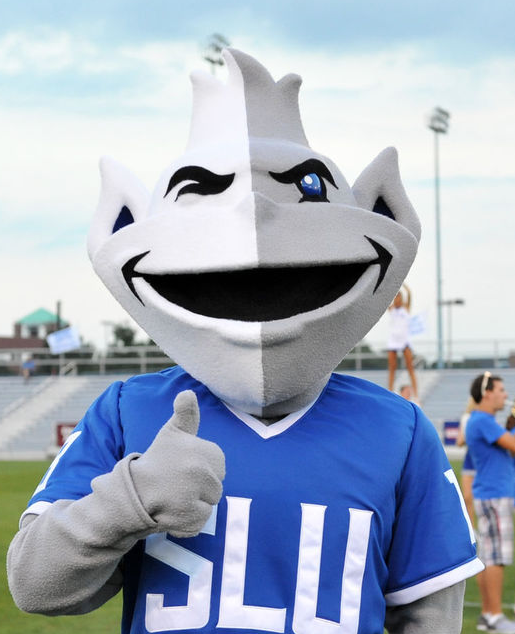 "He feels he is already a Billiken." He is extremely vocal in the stands. Coach always tells his shooters to shoot. He very seldom will take a player out due to a bad shot. Never seen a 23-0 run before. Complements for Isabell's save of the ball tipping it to Goodwin. Coach gave Earl Austin some static "I'm glad Earl saw that play. I was afraid he might be doing another EarlTimeUpdate'"
Wiley's injuries have been strange. He said Dion has remained very positive through his downtime. Shows his experience in the locker room. He has no agenda. Great knowledge of the game and guys listen to him. Wiley's legs are coming back. Coach was surprised about how good he is defensively. He's not going to guard the opponents best player, but he does all the right things on defense. All five league games opponents have played 90% zone in order to stop French, and none of the teams are 'zone teams'. Dion will make them re-think the zone. Team took Saturday and Sunday off due to the heavy schedule they have been on. Today they looked at the film of STJ game. Thought the ball movement was pretty good with the ball not 'getting stuck'. This lead to the open three's for Wiley and Bess. Recruiting - Rammer met Hargrove at a summer camp, and says he is a great person. He is 'a freak', a great athlete. He can handle the ball and shoot. He can play multiple positions. Collins - a true point guard. Plays with a lot of energy and bounce. Great vision. A point guard like we haven't had. Game comes easy to him. Perkins - Top 5 JUCO in country. He plays all 5 position at SWIIC. Can hit from everyplace on the floor. Great FT shooter. Excited to be a Billiken just like Hargrove. Jimmerson - we got very fortunate getting him. Coach saw him while he was watching another player. Great size for a shooter. Gibson had 25 yesterday at a big tourney in Springfield MA. Someone on the staff was there. Rammer "are we getting any big guys?' Coach, yes it is high on our priority. We have a good list of big guys we are recruiting. Duquesne is a tough place to play. Told the team they are the surprise team of the league so far. Maybe the best freshman in the league, PG Carry. One of the top steal teams in the country. They have a big that scores inside. Had back to back road wins, so they are coming home with a lot of confidence. Trying to manage the injuries. KC is getting better day by day. No word if he will play Wed. Thanks for sharing these takeaways! Love hearing this about Hargrove. He's the one I'm most excited to have, think will fit seamlessly into our system and 100% buy into the program. Also good to know some of these players are versatile in case we have depth problems. Great recap. With coach's description sounds like best recruiting class ever. Let's hope we have a higher retention % than the last 2. Thanks HP wasn’t able to listen tonight. Much appreciated. We knew there was a new sheriff in town the moment he snagged JGood...no need to worry about the level of recruiting under TFord. 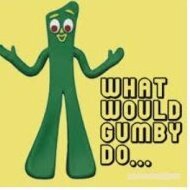 A lot of rehash from Rammer's show that I won't repeat. Danny Mac "You are getting votes now for the Top 25. What does that mean to the team." Coach "It's great for the fans but it doesn't mean anything to the team. All that stuff, getting votes, takes care of itself if you win. Nothing else matters except winning the next game." Danny Mac "I love that you are getting hometown kids." "I've seen Collins and Hargrove on tape. These kids are exciting." Coach "Hargrove is very outgoing, a bubbly personality. People talk about his athleticism but miss out on his basketball skills." "Collins makes everyone around him a better player. Reminds him of a smaller version of Russell Westbrook. He has a great change of pace." "Jimmerson is more than a shooter, he is a scorer. He can score in a variety of ways." "Perkins brings the ball up the court and runs a good pick and pop as a big." Danny Mac "How did you get in so well with the local high school scene once you took the job?" Coach "SLU hadn't spent a lot of time recruiting locally for a decade or so. So being in the gym has been huge. Corey Tate got out and established relationships. Got guys attention by being in the gyms." Coach likes being able to go to 2 or 3 games at night, right here at home. This is his 5th job and first time he has had that situation." 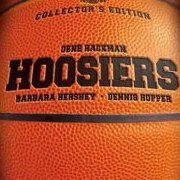 @HoosierPal, can't thank you enough for these recaps. "Perkins brings the ball up the court and runs a good pick and pop as a big." This is significant - right - calling him a big? Last night and today Coach said Perkins plays all 5 positions for SWIIC.